Oh, and did we mention it has a recording studio? In a city with as many good hotels as Los Angeles, it’s hard to decide where to stay. There’s the mythic Chateau Marmont. The hipper-than-thou LINE. The breezy Shutters on The Beach. But we can’t think of too many places where you can sleep, drink, and record your next album under the same roof. 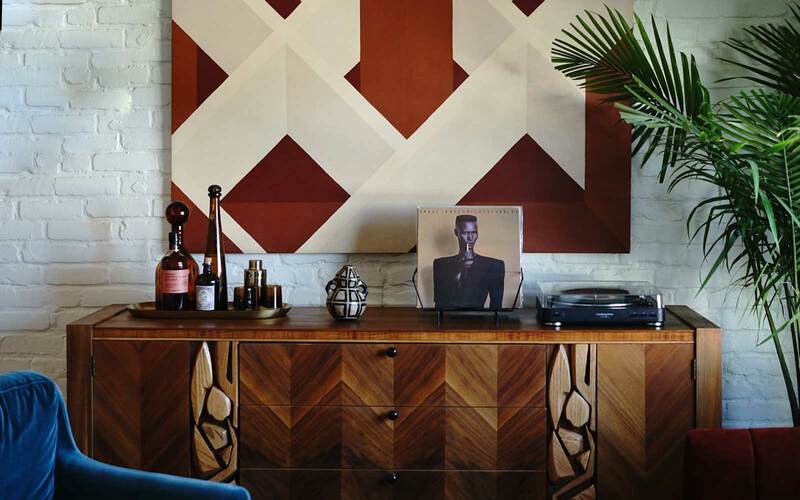 Enter Gold Diggers, a new music-inspired boutique hotel and recording studio in East Hollywood. 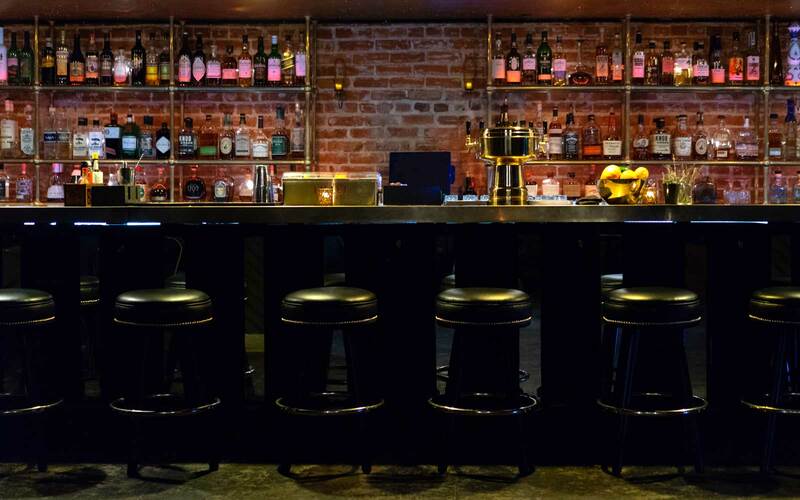 The 11-room “Bed and Beverage”— which is partly inspired by New York City’s fabled Chelsea Hotel — is the creation of Dave Neupert, a partner in L.A. nightlife venues including La Cita and Melody Lounge, as well as New Orleans' Royal Street Inn & R Bar. The 1924 building has lived many lives: as a tavern and inn catering to motorists traveling Route 66; a film studio; a rehearsal space for punk and rock bands; and a dive bar with exotic dancers. Now, the revamped spot is channeling its storied history through music-centered amenities and stylish interiors with a hint of rock ‘n roll (a jewel-toned velvet sofa here, a leopard-print pillow there). Guests even receive a custom vinyl LP on their pillow. Downstairs is the Gold-Diggers Bar, a moody space clad in dark wood and accented with gold pendant lighting, marble tables, tufted leather seats, and a gold velvet stage curtain. The hotspot is home to Heat Wave, one of the city’s coolest funk and disco parties, and has already hosted live performances by the likes of Iceage, Nick Waterhouse, and Sofi Tukker. But the most show-stealing feature is the state-of-the-art recording complex, which houses nine studios outfitted with writing, tracking, and mixing technology. The facility also features a multi-use soundstage and a large tracking stage that can be used for events, live performances, and screenings.